A Year of Being Here: Stephen Dobyns: "Waking"
Waking, I look at you sleeping beside me. that direct her, cooing and making small hoots. this from when you thought I no longer loved you. like a cell into two separate creatures. What would happen if we divided ourselves? to make me destroy it just to protest it. Always we seemed perched on the brink of chaos. seemed clear and each moment was its own reward. "Waking" by Stephen Dobyns, from Velocities: New and Selected Poems, 1996-1992. © Penguin, 1994. 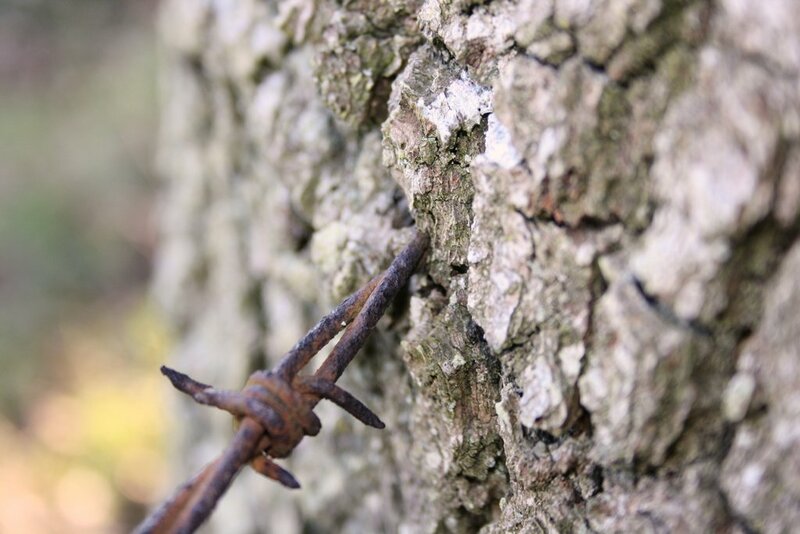 Art credit: "Barbed Wire Tree," photograph by Hazza42.